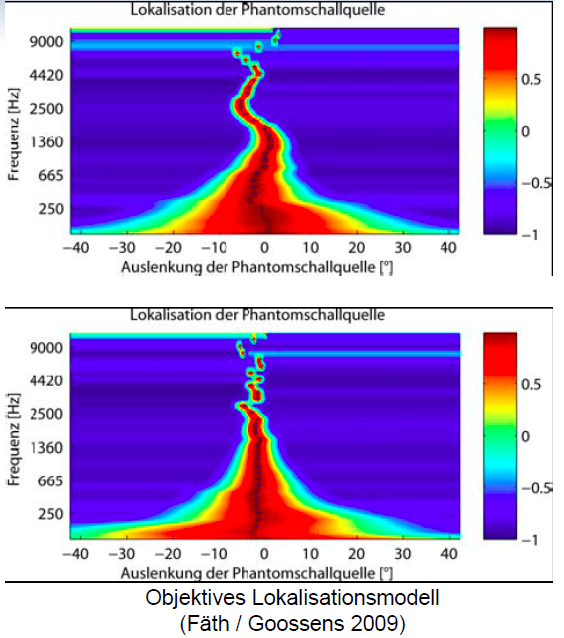 Summing localisation of sterophonic phantom sources depends mainly on interaural differences : level (ILD) and time (ITD). To "improve" monophonic sound, some researchers proposed pseudostereophonic systems, mainly with assymetrical all-pass filters on left and right, widening the stereo image and increase of apparent source width. On the opposite, better loudspeaker and room symmetry (phase, level and frequency matching, toe-in,…. ), should improve perceived localisation : better source accuracy and stability, less position blur. Can we objectively measure subjective localisation ? I'm not searching for a complete auditory model to estimate true source position but rather for an indicator to compare localisation from various loudspeakers or configurations in rooms. So I did a simple software to estimate localisation position computing ILD and ITD from impulse response measurements. This soft is free (but works on windows only). It has a nice feature, the calculation is open : a GNU Octave script that everybody can modify and improve the pops.m octave file. Here mic is at the right and loudspeakers are not toe-in and toe-in (second image). The central phantom stays more central when speakers are crossed in front. can we really avoid measuring with an artificial head and simply work with L and R impulse responses ? 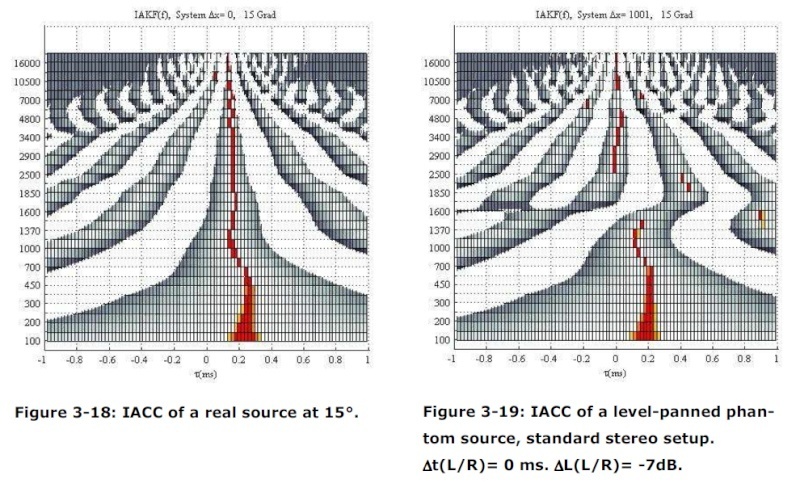 is IACC + level enough or are there other parameters to add such as HF group delay, HRTF, binaural crosstalk,… ? how should ITD be calculated ? IACC, direct phase, groupdelay ? time/angle and level/angle are now linearly approximated : should this be changed ? should we also measure with non central phantom sources ? and the most important, does this analysis correlate to perception ? how to precisely check it ?